As FIU commemorated the 50th anniversary of its founding legislation, thoughts turned to the pioneers who courageously set forth to establish the university. 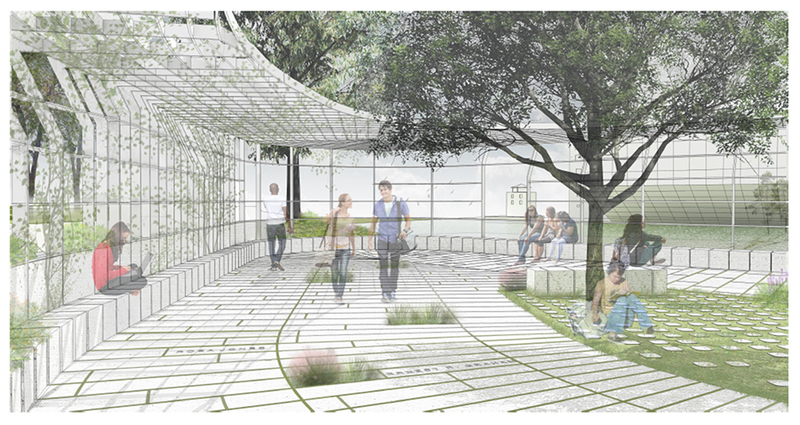 To preserve and celebrate their vision and actions, FIU proposes the development of a Founders Park. This proposed FIU memorial would be located near the historic center of the main campus, just to the west of the first buildings on the campus — Deuxieme Maison, which earlier served as the main office facility for most of the institution's founding faculty. The proposed site is a serene overlook of the radiant body of water situated between DM and the university's earliest building, the Airport Control Tower. The Park will be a destination for campus residents and visitors alike because of its unique construction, its natural beauty and its historic significance. Learn more about the design behind Founders Park.